Manchester Arena has been emergency evacuated this evening after ‘loud bangs’ were heard minutes after Ariana Grande finished performing. 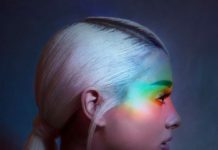 Witnesses on social media have reported hearing “huge bangs” after Ariana Grande’s performance, crowds then fled the venue. Police confirmed they responded to reports of an “explosion” at the Arena at 10:35pm on Monday 22nd Nay and asked people to avoid the area. Emergency services rushed to the MEN arena this evening after two loud bangs described as ‘explosions’ were heard and reported. We confirm that we are responding to an incident at the Manchester Arena. Please follow @gmpolice for updates at this time. Clips have now been posted to social media from inside the arena after the incident happened, it shows people screaming and running for exists. Ariana’s label have confirmed to that the star is “okay” following the incident. One of the first updates from Greater Manchester Police revealed that there were ‘a number of confirmed fatalities and others injured’. In a statement it read: “Emergency services are currently responding to reports of an explosion at Manchester Arena. Greater Manchester Police are now treating the incident as terrorism, until know otherwise. So far, at 1:15AM, 19 people have died in the tragic event and around 50 others have been injured. Hours after the incident, TMZ are reporting that Ariana Grande is “in hysterics” and left devastated after learning about the deaths of fans at her Manchester gig. Police later confirmed that sadly 22 people died in total.